A senior military commander has played down the US withdrawal from the 2015 nuclear pact, arguing the US government has never been truly committed to its obligations under the 2015 nuclear deal, whether under Donald Trump or his predecessor Barack Obama. 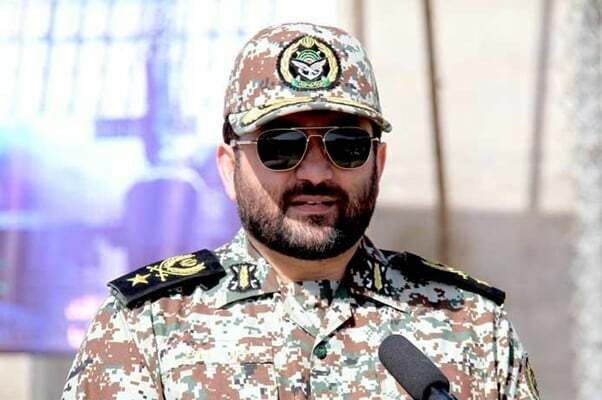 Commander of Khatam al-Anbia Air Defence Base Brigadier General Farzad Esmaeili made the statement on Saturday, according to a report by Fars News Agency. “US sanctions have not only made [negative] impact on Iran, but they have straightened our determination and will,” General Esmaeili said. “Sanctions will make Iran well experienced and we have no worries about the US exit from JCPOA,” Esmaeili said. The commander said Iran will give a crushing response to enemies who dare to attack the country. “If our enemies move to pull the trigger, we will give a response that makes them feel regretful,” he said. The nuclear deal signed between Iran and major powers to put confidence-building curbs on Tehran’s nuclear program in exchange for the removal of international anti-Iran sanctions and normalization of Iran’s foreign trade. However, shortly after the deal went into effect, Iranian officials started complaining that the US uncooperative stance was preventing them from receiving benefits they were entitled to. Among other measures, Iranian officials said the US was behind closed doors warning banks, financial institutions, insurance companies and others not to do business with Iran, in clear violation of Articles 26 and 29 of the agreement. The US violations of the deal took a turn for the worse under Trump, who early this month pulled the US out of what he called an “embarrassment” and threatened Washington will impose “the highest level” of economic bans on the Islamic Republic.